Any idea on how to solve the op party problem in blockwars? "Countering op party"? What do you mean? Are you forcing people to be bad? What's up, lol. Aren't all staff like that anyways (well most)? They for somewhat reason don't like blockwars. Countless threads have been made, but almost none of them got staff support. They locked my threads without a warning of me bumping. I mean, it was created by the owner of The Chunk (a server) whom they hate. Well this person you know, left the staff team and said stuff about staff. But not in the sense of it being well structured, oh no it was vaguely explained. But he was suggesting something different, not MAKING BlockWars permanent but creating a differentiation between BlockWars CTF and the rest of featured games. Because of obvious reasons. I don’t know about your thread being locked though, so I can’t really give an opinion on that. LOL, BlockWars was dead at the moment though! 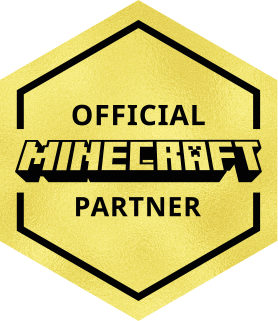 Voting for CubeCraft once a day ends up being 109,500 experience a year. Get voting! No one likes TSG, jeez! I’m so excited for the upcoming updates!!! Patins and TheTjitt like this. Patins and iDekuh_ like this. Do you want Block Wars back? Patins, Kawaakarii, super craft bros and 1 other person like this. Patins and Kawaakarii like this. Just accept it, CC is mainly composed by tryhards. Just release some sort of tryhard PvP game already so you stop losing players. It’s their job and their server. I’ll try to come up with something though. Well Minerware was pretty fun. I just hope people didn’t somehow turn invisible and start hitting me off the edge. Patins and MrGrumpyCheese like this. I’m bored. Let’s make a block wars thread! Patins and oirazuL like this. Might as well make a good bye thread while you're at it.